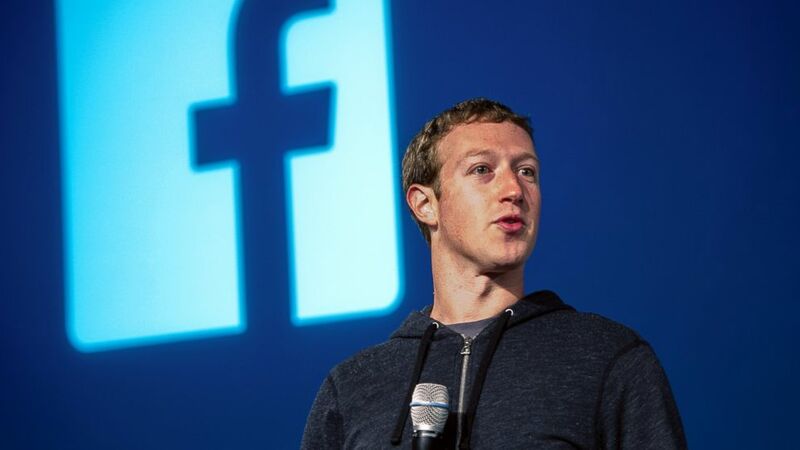 Founder and CEO of Facebook, Mark Zuckerberg, has planned out his next trip. 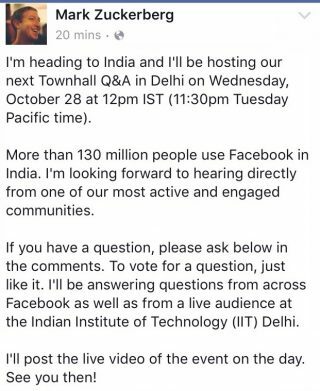 According to his recent post on Facebook, Zuckerberg will be visiting India on October 28. He will arrive in New Delhi at 12 pm and will host a Townhall Q&A at the Indian Institute of Technology. Zuckerberg has not stated the duration of his stay and if he’s planning on visiting other parts of the country, yet. 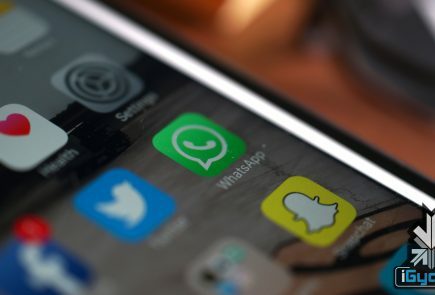 Within an hour since his post, people have already begun posting questions, some of which are related to the benefits of Internet.org in rural communities and ways in which Facebook can help better the lives of people in India. If you have any questions, be sure to leave a comment below his post.